TWGHs Yiu Dak Chi Memorial Primary School (Yuen Long) has been proactively promoting a school-based STEM (Science, Technology, Engineering, Mathematics) curriculum to instil the spirit of scientific exploration and innovation among students, to promote the application of science and technology and to help students develop their problem-solving skills. Six students of the School participated in the 20th Primary STEM Project Exhibition since October 2016. They used simple materials such as lemon and pomelo peels and successfully designed an effective indoor environmental-friendly dehumidifier, namely “Eco-dehumidifier”. With the experimental experience gained, these students became even more interested in scientific exploration. Eco-dehumidifier was highly praised by professional adjudicators and online voters, as a result winning the “Adjudicator Award” and “Outstanding Award” in the 20th Primary STEM Project Exhibition. The student inventors were invited to demonstrate their invention in the Primary STEM Project Exhibition at Hong Kong Central Library and participate in the 20th Anniversary of the Primary STEM Project at The Education University of Hong Kong respectively. 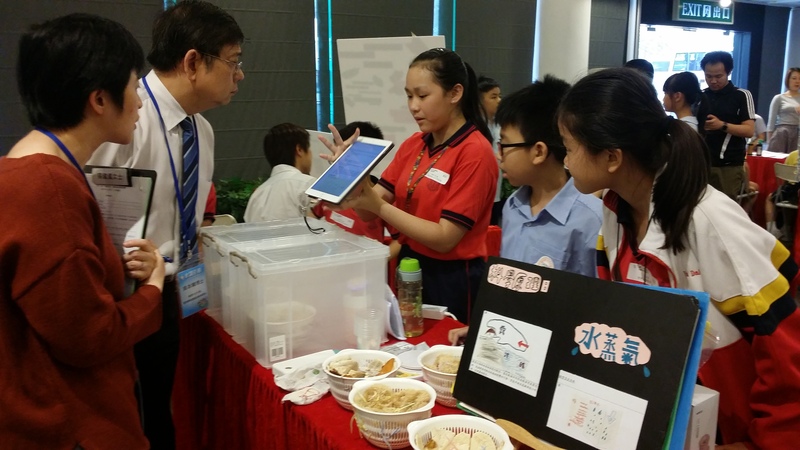 Students of TWGHs Yiu Dak Chi Memorial Primary School (Yuen Long) demonstrated the performance of “Ecodehumidifier” and explained the theory behind to the adjudicators.